Learn to make a molded crown with this beautiful project. 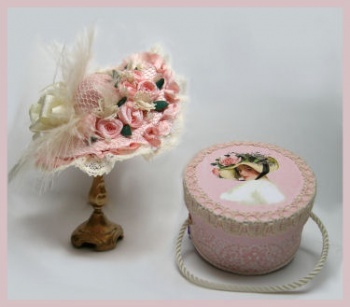 Pretty pink silk, ecru netting, laces, ribbons and roses combine to make a simply luscious hat. The matching hatbox is lovely too!